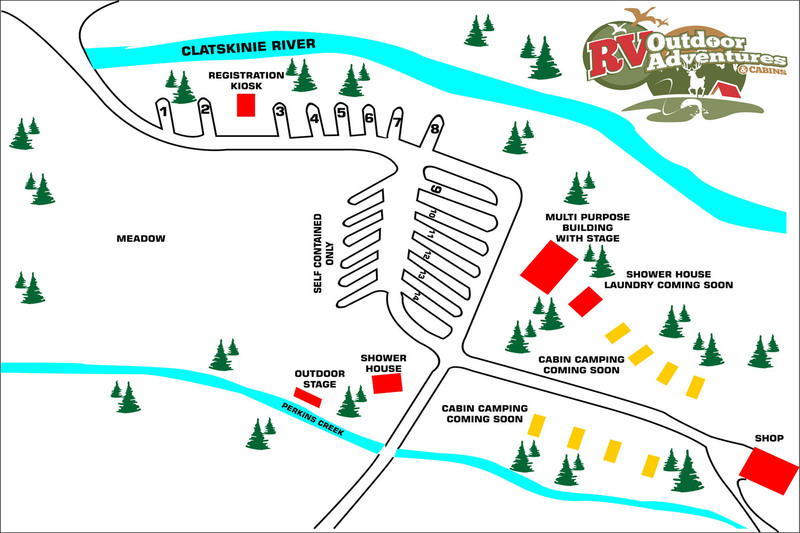 We are a well established RV park that has a lot to offer when you need a vacation. We are located on the Perkins creek and Clatskanie river about 60 miles from Portland. This scenic area will house 4 new cabins, 30 RV spots, plus 10 self-contained spots (3 on river), as well as shower & restroom facilities, a multipurpose room with a stage, and an outdoor stage as well. We have a 36 acres of quiet, peaceful park-like setting that you and your loved ones will enjoy exploring! ☆ NEW Cabins! Click here for information. We also have a diverse variety of activities for you and your family to enjoy!